The special police alertness level which was put into effect ahead of the Rosh Hashanah holiday will continue during Yom Kippur and will only be terminated after the Simchat Torah holiday in 10 days time. The IDF has decided to impose a complete closure on the West Bank and Gaza Strip from midnight on Monday and through to Midnight on Wednesday night. The IDF has that during the closure, passage will only be allowed in humanitarian and medical cases subject to the Civil Administration. "The IDF will continue to work to protect the citizens of the State of Israel while taking the fabric of daily Palestinian life into consideration," the IDF said. 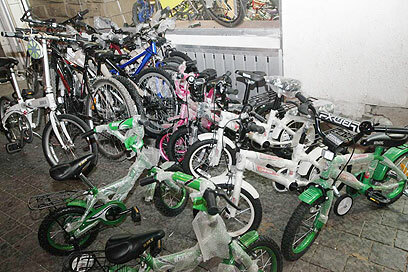 Magen David Adom (MDA) is also on high alert ahead of the holiday due to concerns over an influx of injuries resulting from large crowds of people taking to the streets on their bicycles as well as people becoming ill while fasting. MDA Director General Eli Bin directed regional managers to go to the highest alert level until the end of the Yom Kippur fast. MDA stations will be reinforced with additional paramedics, ambulances and intensive care vehicles. It is estimated that over 2,000 people will receive medical care during the fast. Jerusalem District Police are being especially careful this year over the recent Muslim protests and the fallout over the anti-Islamic film. Police, Border Guard officers and volunteers will be stationed at roadblocks in order to prevent traffic from the east to west side of the capital in order to prevent clashes between Jews and Arabs. 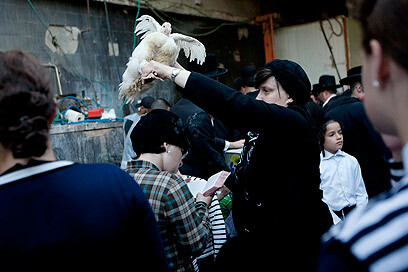 Police stress that alternative traffic routes will be available to the residents of east Jerusalem. 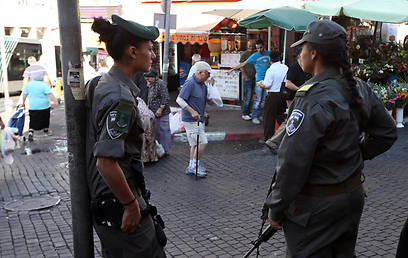 Police will be deployed throughout the capital's shopping centers as well as in the Old City and east Jerusalem in order to maintain public order. Increased security is also expected on routes where worshippers are expected in order to prevent stone throwing incidents. Tel Aviv will also be increasing police presence. In addition to security around the city's synagogues, hotels and certain neighborhoods in Yaffo will also have increased police presence. Hospitals will continue to work over the Yom Kippur holiday but only emergency cases will be admitted. The emergency room, delivery rooms and ICU will be operating as usual. See all talkbacks "Israel on high alert ahead of Yom Kippur "